A DUI conviction can have a dramatic impact on your life. Under Florida Law, you can be sentenced to jail for up to 60 days for your first DUI. You can be sentenced to 5 years for a felony DUI with no aggravating circumstances and up to 15 years for DUI Manslaughter. The collateral consequences of a conviction can also have a dramatic impact on your life. Your insurance rates will increase, you may find it difficult to obtain insurance coverage, you are “inadmissible” to certain countries even for vacation & you may be subject to deportation if you are not a United States citizen. 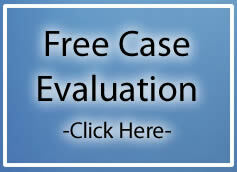 Call Florida DUI Attorney Michael Dye now to schedule a free consultation. Our office phone number is (888)959-6936. 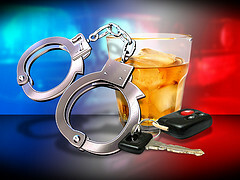 We currently handle DUI cases in Fort Lauderdale and Miami-Dade. Knowledge & experience is what sets us apart. Michael Dye attended the National College for DUI Defense Summer Session in 2008 which was a 4 day seminar covering drug recognition expert protocol, policies and procedures. Mr. Dye attended a course taught by Doug Scott in Greensboro, North Carolina which covered the proper administration of the standardized field sobriety exercises and additional education on the DRE protocol. In addition to organized seminars, Mr. Dye has sought out additional educational materials in the fields of toxicology, gas chromatography, infrared spectroscopy and other issues related to scientific evidence in DUI cases. Florida DUI Attorney, Michael Dye, has substantial DUI trial experience. Mr. Dye has successfully tried cases involving blood tests, urine test and breath test results that were .08 or greater. Mr. Dye has a strong knowledge of the scientific evidence that the State will attempt to present in your DUI trial. Mr. Dye is aware and able to explain the limitations of the Intoxilyzer 8000, urine testing and blood testing in language that juries can understand. Mr. Dye has a strong knowledge of the scientific principals behind DUI testing. Having an DUI attorney with a knowledge of the scientific principals behind the DUI testing is of great benefit to a DUI defendant. Mr. Dye has successfully challenged the admissibility of breath, blood and urine testing before and during trial. Mr. Dye is able to effectively cross examine the State’s toxicologist in depositions or trail which has resulted in numerous acquittals, dismissals and reductions. In addition to his trial experience, Mr. Dye has developed a reputation as a “go to” attorney regarding scientific evidence. Mr. has consulted with numerous DUI attorneys regarding both Constitutional and scientific issues in DUI cases. Mr. Dye is frequently called upon by other attorneys handling DUI cases to “ghost write” motions and appeals as well as assist in preparation for depositions and trials. CALL DUI ATTORNEY MICHAEL DYE NOW TO SCHEDULE A FREE CONSULTATION. (888)959-6936.